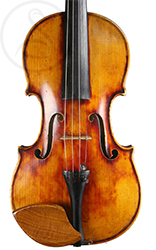 It’s strange how few Mirecourt trade violins one sees from 1850-1870 – perhaps this was a period of unrest in Alsace, or perhaps it just reflects the fact that industrialisation hadn’t quite got under way yet. 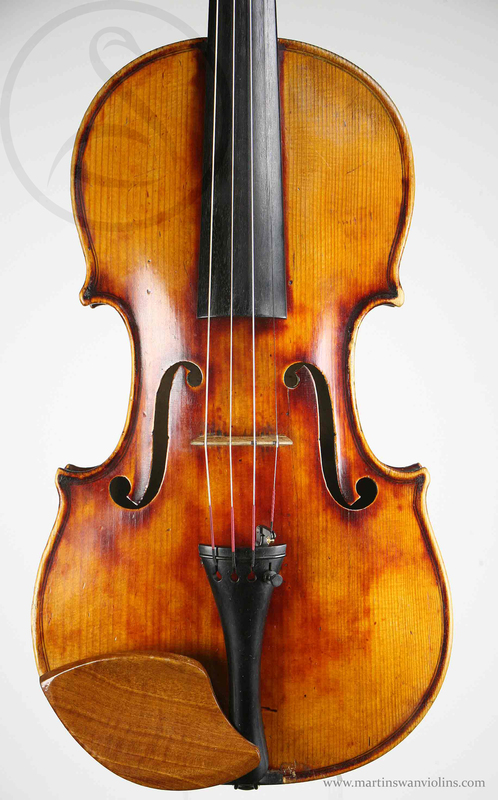 Anyway, that’s what we have here, a superior French trade violin which bridges the gulf between a Didier Nicolas and a JTL! 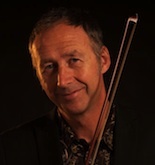 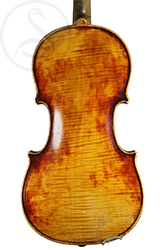 Interested in this Mirecourt Violin? 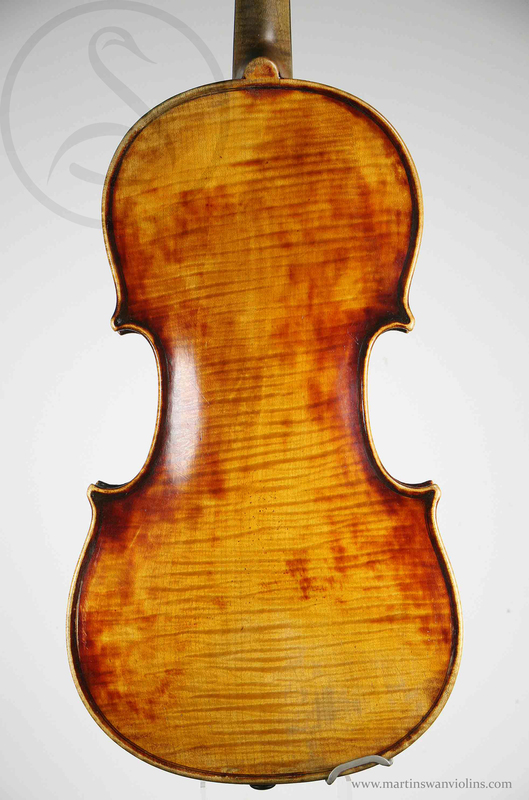 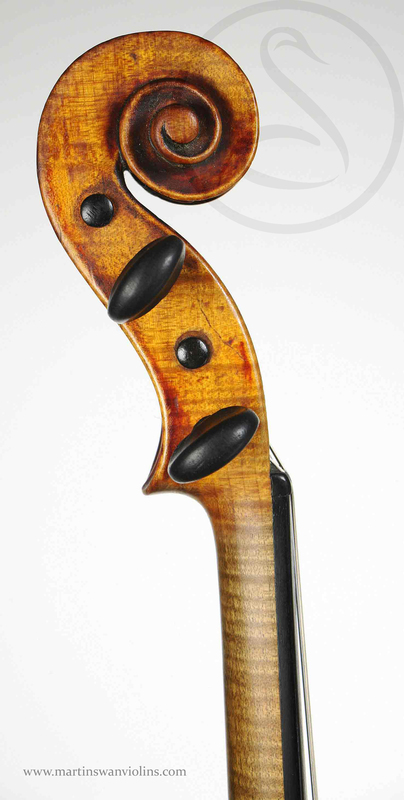 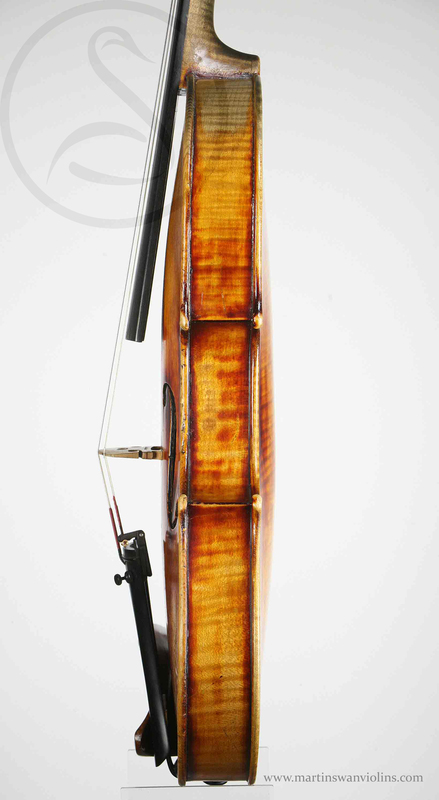 Look at our other violins in this price range.